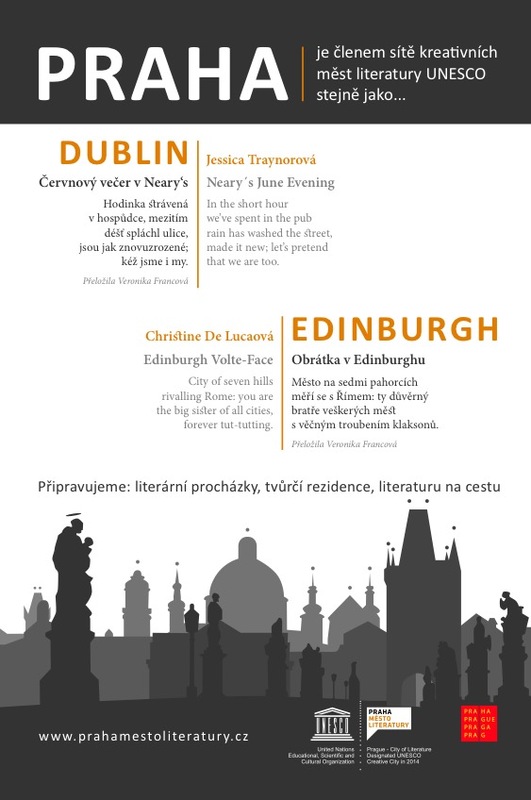 I’m delighted to see that my micropoem that was first projected as part of the Krakow City of Literature project last year has found a second life as part of the Prague City of Literature poster series. Here’s my poem, alongside the Edinburgh contribution by Christine De Luca (or Chsitine de Lucaová as it’s printed in Czech. Oh look, I’m Jessica Traynorová! Official name change in order). Thanks to Jane Alger and all at Unesco Dublin for the invitation to be involved. And now you are a character from Dostoevsky, Jessica Traynorova indeed.